When a rocket crash-lands in the British countryside, Dr. Quatermass (Brian Donlevy) and Inspector Lomax (Jack Warner) are summoned to investigate, and find that its sole survivor (Richard Wordsworth) is gaunt and catatonic. Wordsworth’s wife (Margia Dean) enlists the help of a private detective (Harold Lang) in rescuing him from supervision, but this quickly proves disastrous as Wordsworth mutates into a monster and begins absorbing the organisms he touches. Based on the popular six-part BBC TV serial, The Quatermass Experiment (renamed The Creeping Unknown in the United States) was the first in a cluster of films featuring Dr. Bernard Quatermass, a fictional space scientist whose primary task in life is protecting the Earth from alien forces. 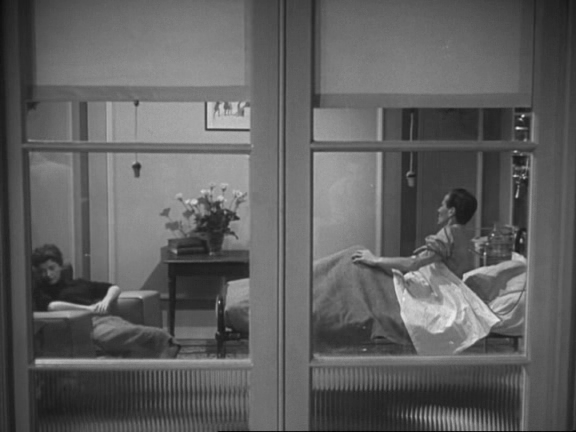 This early outing remains an exciting entry in the series, with a quickly paced script and a highly empathetic accidental “villain” (Wordsworth). Wordsworth’s expressions are genuinely haunting: he’s traumatized by what happened on board the spaceship, terrified of (yet unable to control) his own actions, and devastatingly incapable of expressing himself. 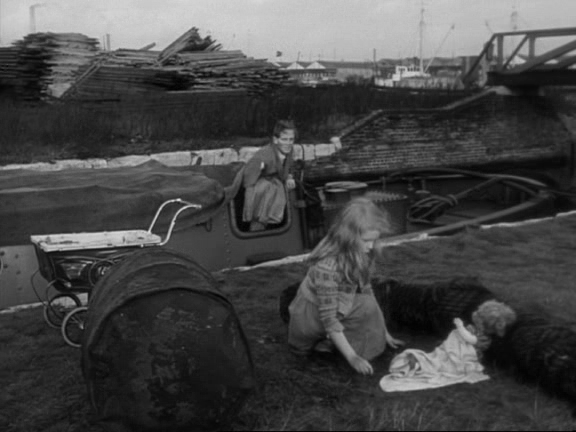 His character is reminiscent of the monster in Frankenstein (1931); indeed, a scene in which Wordsworth emerges out of hiding in a boat and attempts to interact with a sincere little girl (Jane Asher) is clearly an explicit homage to this earlier classic. Also driving the film is a true sense of urgency and mystery: what exactly happened to the astronauts, and how much of a danger does Wordsworth now pose? The ultimate findings are reminiscent of modern-day fears over widespread biological contagion (viz. Soderbergh’s Contagion, 2011), as well as ongoing concerns with full-scale invasion by “alien” forces on multiple fronts. 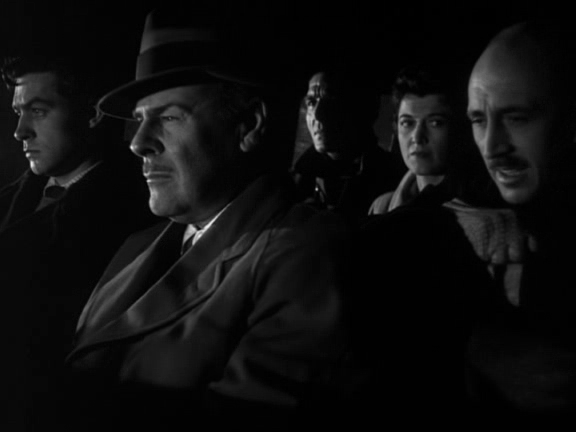 Fans have quibbled over the casting of American Brian Donlevy as Quatermass, who comes across as entirely no-nonsense from beginning to end (in one scene, he brusquely contradicts his own orders just a few minutes after realizing he was wrong); but personally, I find him refreshing and well-cast. If the final scene feels a tad rushed, this actually fits with the story’s overall sense of continuous doom, and sequels were nigh on the horizon. Yes, as an early classic of the genre. A once-must, for its place in sci-fi cinema history. Fans of more contemporary sci-fi/horror films may be a little put-off by the way this film establishes its premise and plot. It’s slow-going early on and rather methodical. Some may find themselves thinking, ‘Do get on with it!’ Still, the earlier part of the film does develop and maintain tension; it’s just a different way of storytelling. It’s in the last 30 minutes that we get more of a pay-off, when the ‘discovery’ is allowed to escape and is let loose on the community-at-large. I don’t think it’s a great film but I think it does hold attention and is interesting in terms of its influence on sci-fi films to follow. 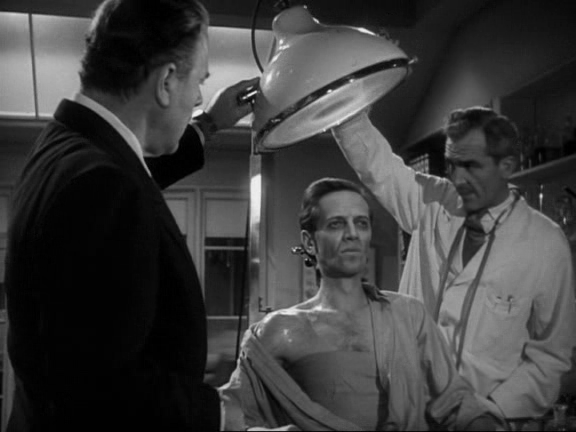 The ‘homage’ to ‘Frankenstein’ sequence will most likely seem obvious to anyone who has seen the James Whale film. (I find the end of that scene a bit unintentionally funny.) But I doubt most people will recognize little Jane Asher – who would not only go on to become Paul McCartney’s girlfriend but later star opposite Vincent Price in ‘Masque of the Red Death’.